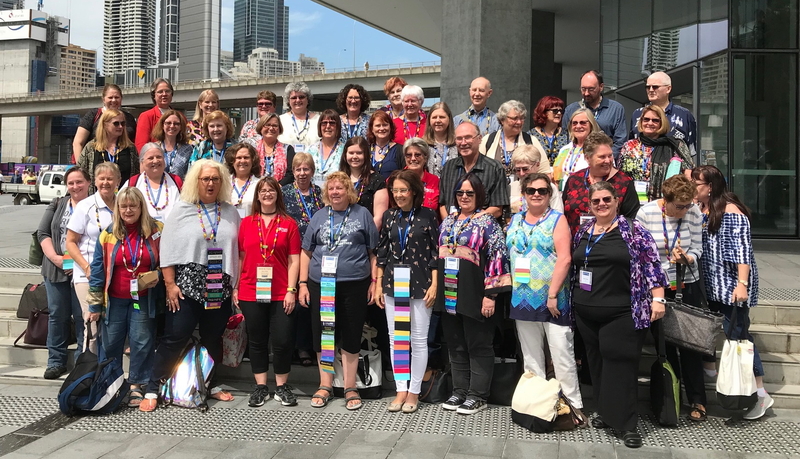 One of the best things about the recent Congress in Sydney was meeting up with fellow genealogy bloggers, easily recognised by our blogger beads (kindly sponsored by GeniAus and Lonetester). It was a wonderful way to break the ice and get chatting with lots of different folk, especially in the line for a cuppa at morning tea. Some of the Australasian genealogy bloggers (plus American Judy Russell) at Congress 2018 in Darling Harbour, Sydney. Thanks to Diana Hurford for the photo! Jill Ball has collated many of the blog posts relating to Congress on her GeniAus website. If you have a genealogy-related blog, or want to start one, check out the community at GeneabloggersTRIBE. Next conference on the calendar for me is Echos of the Past being held in Christchurch, New Zealand, on 1-4 June. Hopefully there will be a few of us there sporting our beads!